We are busy planning for the Grand Opening of Promenade Park and we need YOU! If you can volunteer during the weekend of June 21 – June 23, we have half hour informational meetings in April and May. 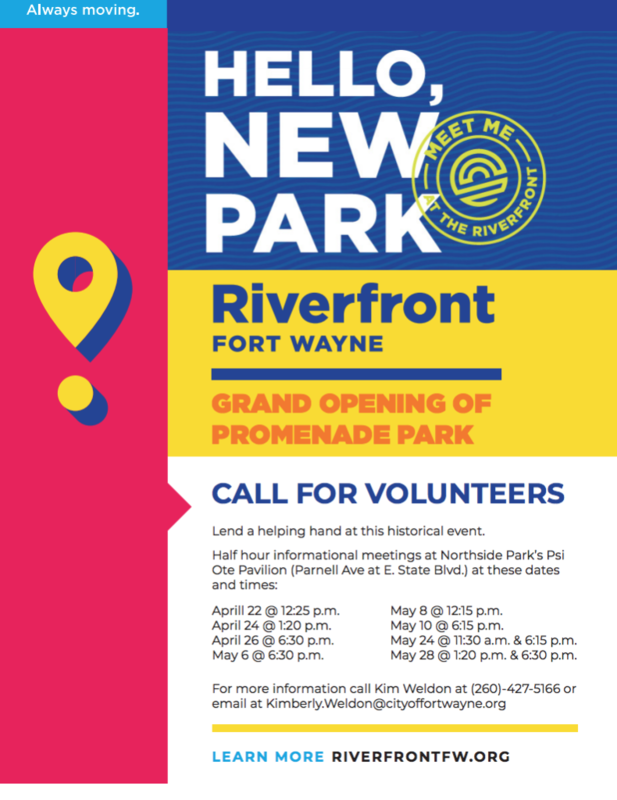 Get the latest news about Riverfront Fort Wayne. Promenade Park is located at 202 W. Superior Street, Fort Wayne, IN. 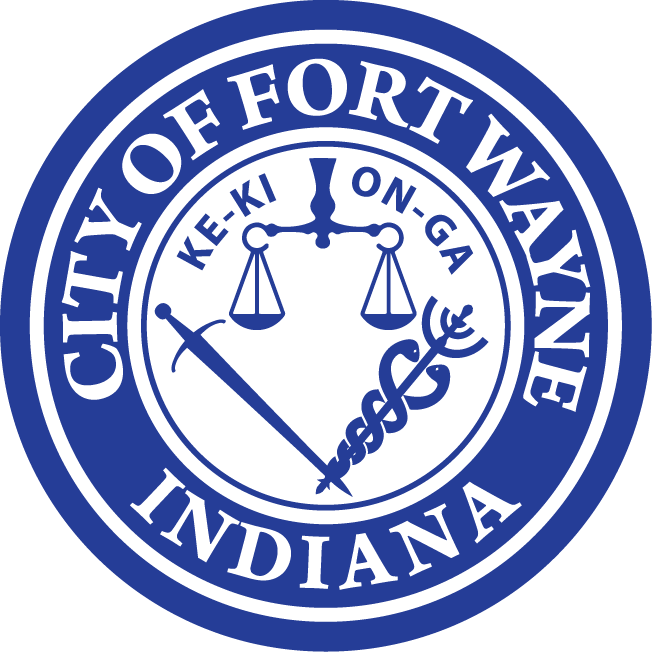 Proudly part of the Fort Wayne Parks and Recreation Department. Copyright © 2019 — Fort Wayne Parks and Recreation. All Rights Reserved.